We have exciting news! 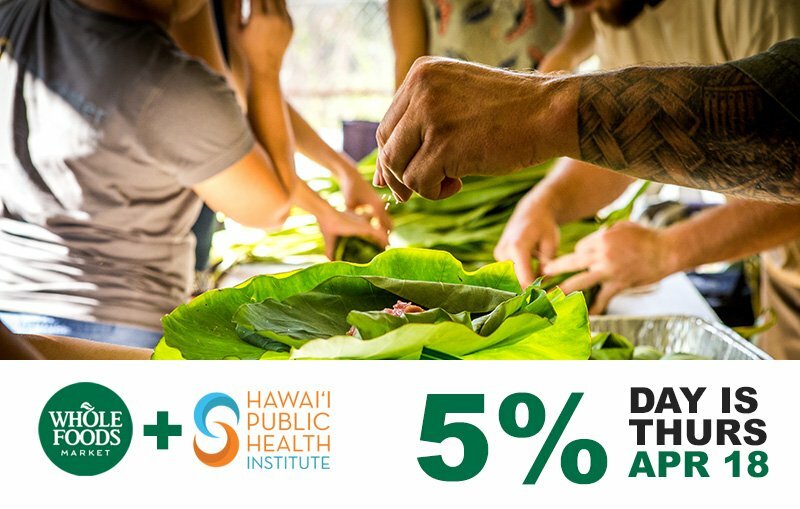 Whole Foods Market has selected Hawai‘i Public Health Institute (HIPHI) as the beneficiary of their upcoming 5% Community Giving Day on Thursday, April 18, at all of their Hawai‘i stores. This means that five percent of all net sales from all four Hawai‘i locations on Thursday, April 18, will go to support the work of our Healthy Eating + Active Living (HEAL) coalitions and Hawai‘i Farm to School programs. The proceeds will also help fund four Perspectives on Community Health fields trips this October during Farm to School Month. Will you commit to shopping on Thursday, April 18? If you aren’t sure where the closest Whole Foods Market location is, click here.